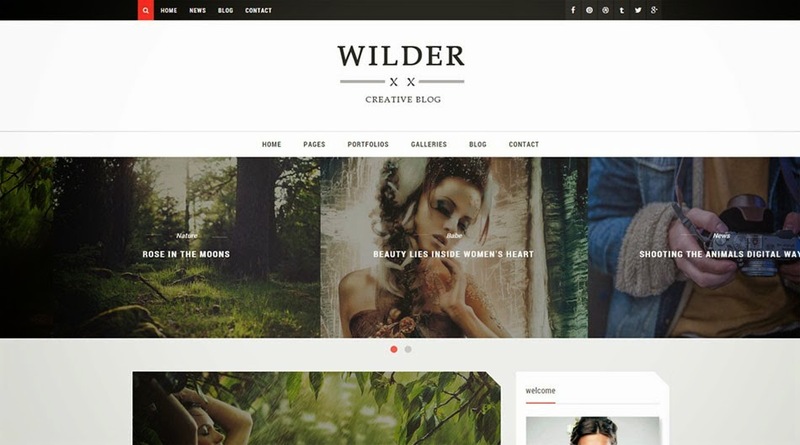 Wilder Creative is a creative blogger template for the blog lovers. It's ideal blogger template for all niches as it is loaded with full of features and custom widgets like carousel sliders, newsletter box, random post widget, recent post comment widget. It's enhanced with SEO which will boost your traffic.